UBC chemists and scientists at the Centre for Blood Research have created an enzyme that could change blood types. The enzyme works by snipping off the sugars, also known as antigens, found in Type A and Type B blood, making it more like Type O, which can be given to all patients. “The concept is not new but until now we needed so much of the enzyme to make it work that it was impractical,” said UBC chemist Steve Withers. UBC zoologists have discovered that rorqual whales, which include blue, fin and humpback whales, are able to ingest incredible volumes of water thanks to their unique nerve structure. 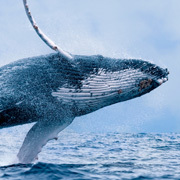 Their nerves can double in length and then recoil like a “bungee cord.” The stretchy nerves explain how the whales are able to balloon an immense pocket between their body wall and overlying blubber to capture prey during feeding dives. 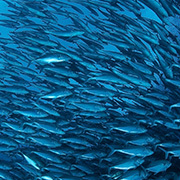 Biologist Abby Schwarz will explain how fish pick up sounds in the water through their bodies and their internal ear. Free event. 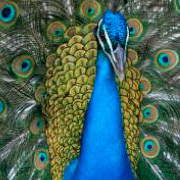 Did you know peacocks produce a rainbow of feather colours without any colourful pigments? Discover more at the Beaty. Sign up for physics and computer science Grade 8 to 10 camps. 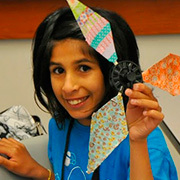 Build electrical circuits and design items on a 3D printer. Was your UBC Science experience so last millennium? Let’s see the proof! 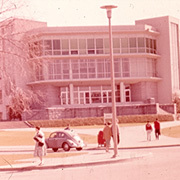 Share your photos with UBC Science to show today’s young whippersnappers how it was done. We are looking for photos that showcase the personal, unique and funny side of UBC Science’s history, from 1915 up to 2000. 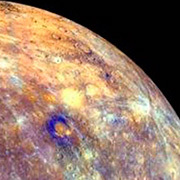 Data from MESSENGER, the spacecraft that orbited Mercury for four years before crashing into the planet this spring, shows that the planet’s magnetic field is four billion years old. The Gordon and Betty Moore Foundation is supporting quantum materials research at UBC with a $1.4 million US grant. UBC students and postdoctoral fellows in biological engineering and bioinformatics have received $3.3 million in grants from NSERC. Microbial expert Laura Wegener Parfrey has been awarded a Young Investigator Grant from the Human Frontiers Science Program. Zoologist Adam Ford and mathematician Niki Mavraki have been recognized with UBC Governor General’s Gold Medals for their outstanding academic work. Congratulations to this spring's Killam Teaching Prize recipients Mona Berciu (PHAS), Mark Jellinek (EOAS), Gregor Kiczales (CS) and Roland Stull (EOAS). Technology entrepreneur Sandra Wear (BSc, ’92) has been appointed Chief Executive Officer of InTouch Technology, maker of sales and retention software for health clubs. 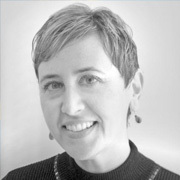 Previously she founded two tech companies, The DocSpace Company and Atalum Wireless. Wear is the CEO of Canadian Women in Technology and co-founder of Be Like Ada, a coding boot camp for teenage girls. Do you have fun and exciting news? Write us a little note and we’ll share it on our website. 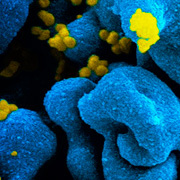 UBC researcher Daniel Coombs uses mathematics to understand how viruses, such as HIV, function, change and spread within one person’s body and across individuals. “We’re using microscopy to study how B-cells, a type of highly specialised immune cell, respond to infection. A technique called single particle tracking allows us to label proteins on the surface of the cells and track each cell individually,” Coombs explained. You're receiving this e-mail because, as a UBC Science alumni or supporter, you've given the university permission to contact you. We take your privacy seriously, and have made it easy for you to unsubscribe.